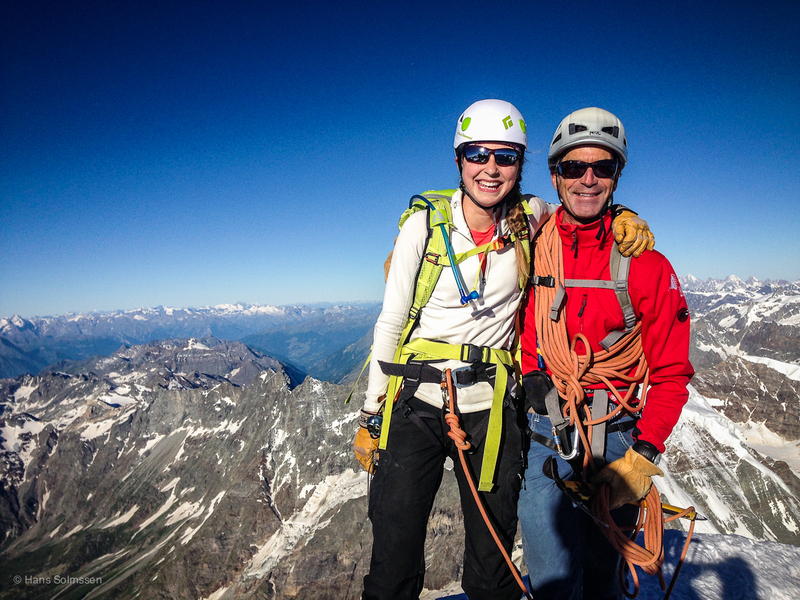 I guided 16 year old Mattie to the top of the Matterhorn Thursday. It was an amazing day despite the normal high season crowds. 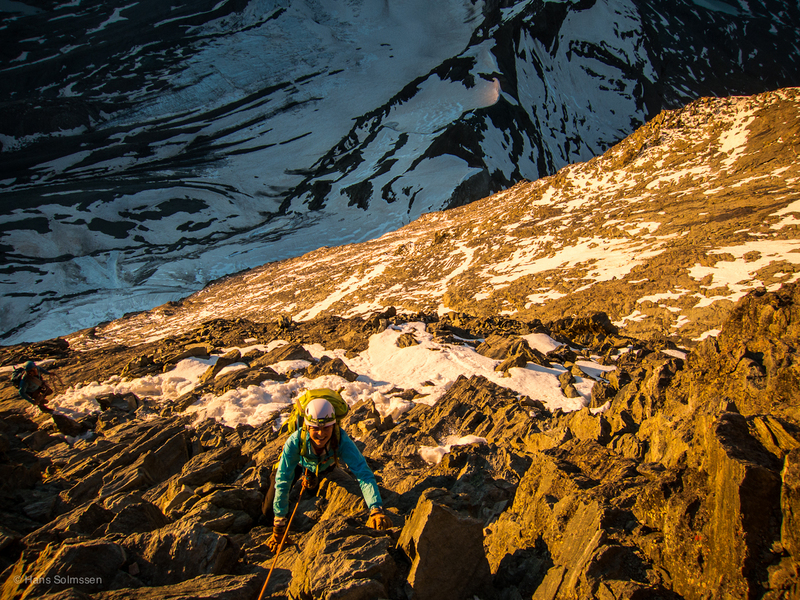 Mattie did an incredible job pushing herself hard to get to the top of this most spectacular peak in a day. And most importantly, she performed very well on the descent, safely down climbing the tricky sections and sustaining the power and energy needed to get back to the hut. 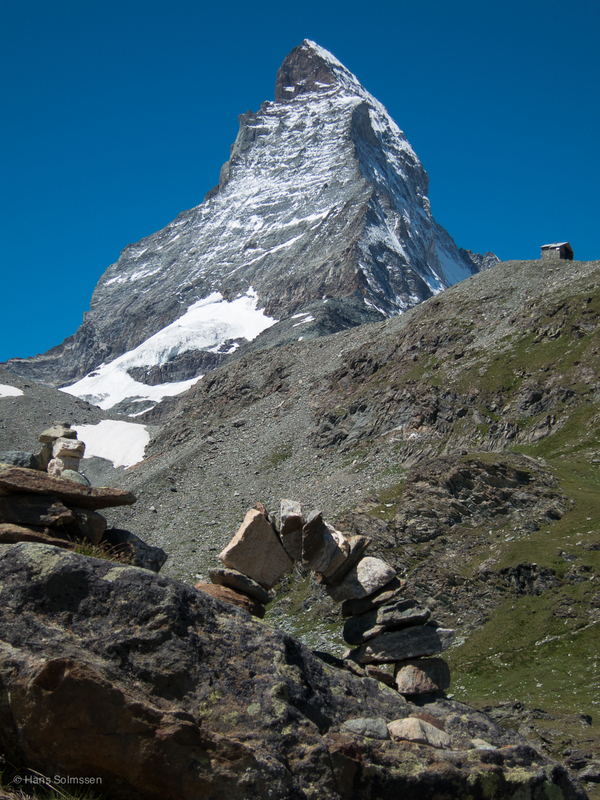 Though the Matterhorn is “only” rated AD III, making it to the top of this steep peak is not an easy task. 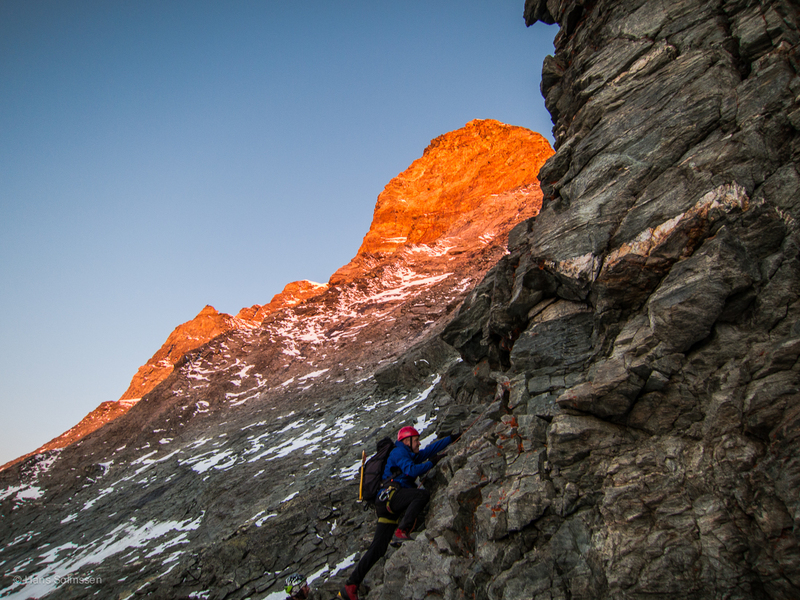 One must be sure footed, able to transition quickly from scrambling to climbing, and have the endurance to keep moving quickly for 8-10 hours. We climbed the Hornli Route. Conditions were almost perfect. Because of the snowfall on Monday, there was more snow on the lower rocks than I would like. We put our crampons on just below the shoulder, which is quite normal. I believe the ideal time of year to climb this peak is early (June) or late (September) season. 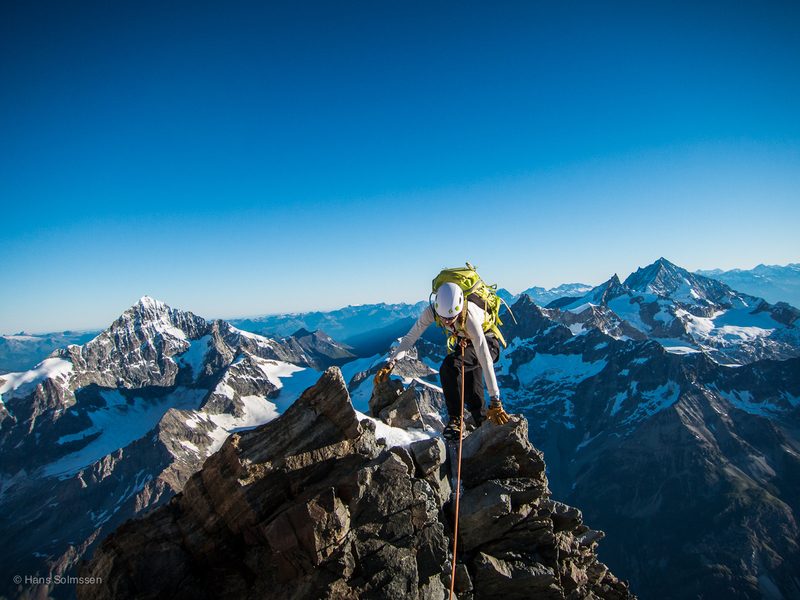 The main reason is to avoid the large number of other climbers on this popular route, which is becoming a real danger. This year, the Hornli Hut can accommodate fewer climbers. The plan is to close the hut next year for the construction of the new hut. But to imagine there will be a new hut, able to accommodate even more climbers in the future, makes me think that some system will be required to limit the number of climbers on this peak each day. 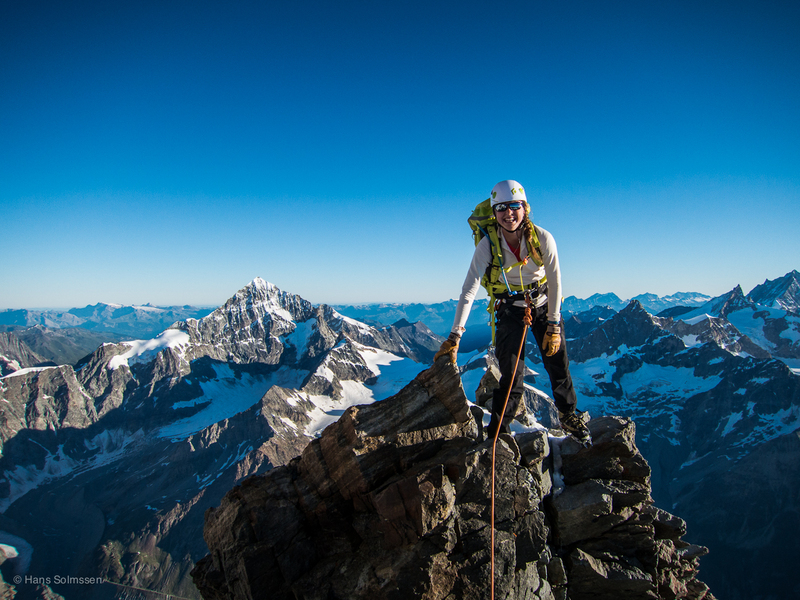 Climbing the Matterhorn is a dream of many budding alpinists. With proper training, it is well within the reach of many. 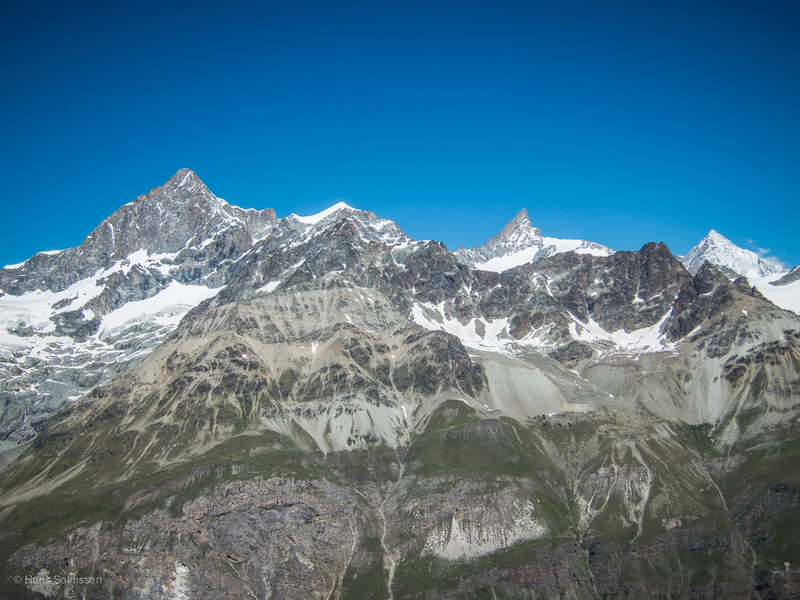 For those coming from afar, it is popular to combine the Matterhorn with the Eiger and Mont Blanc, to do what has become known as the Alpine Trilogy. 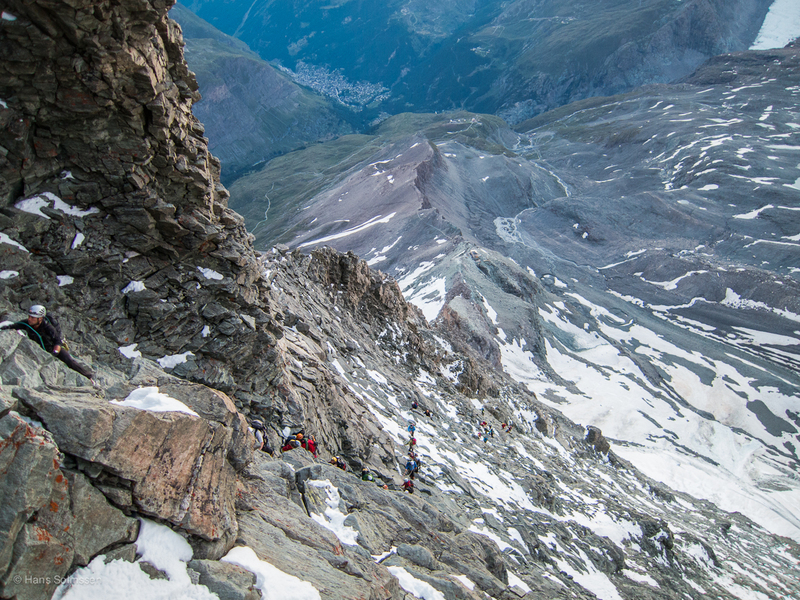 These three popular routes see far more traffic than any other mountains in the Alps. But in the off-season, they are super fun climbs, when you may even find yourself alone on the mountain. 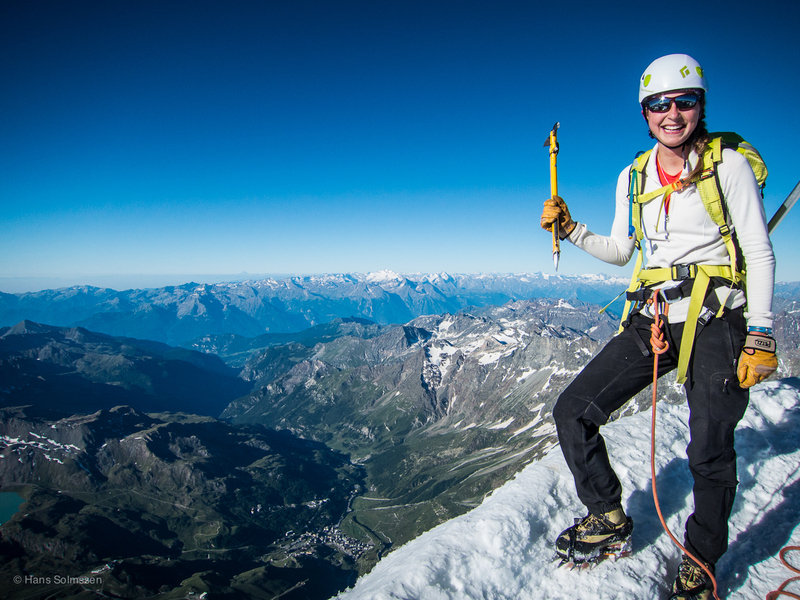 This entry was posted in Alpine Climbing on August 5, 2013 by Hans Solmssen.